Nadezhda Borisovna, age 76, from Dobropolye, died in the nursing home from diabetes, she suffered from obesity. 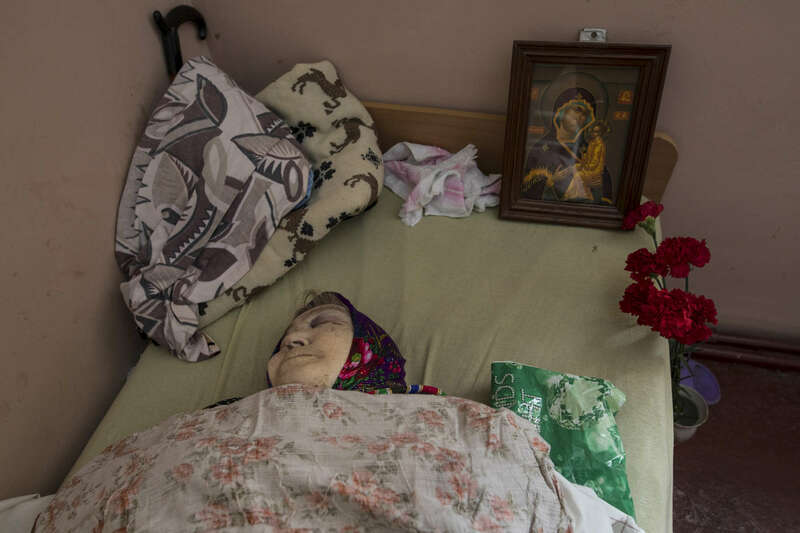 The body had to stay in a room with two other sick elderly women, untouched for about 2 days, as nursing home has no resources to deliver it to the morgue and the healthcare institution from her native town delays to pick her body up. Her neighbors took the responsibility to organize a funeral service for her as she has no relatives.